A year ago in Afghanistan, Green Beret Heath Daniel’s career was destroyed. Along with his faith. 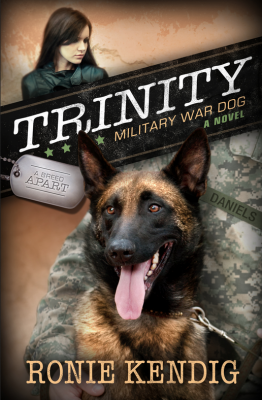 Now he and his military war dog, Trinity train other dogs and their handlers through the A Breed Apart organization. The job works. But his passion is to be back in the field. The medical discharge says it can’t happen due to the traumatic brain injury that forced Heath to the sidelines. Military intelligence officer Darci Kintz is captured and the geological survey team she’s covertly embedded with is slaughtered while secretly tracking the Taliban. It’s clear only one dog can handle the extreme conditions to save her. Trinity. Only one man can handle Trinity. And time is running out on the greatest—and most dangerous—mission of their lives. 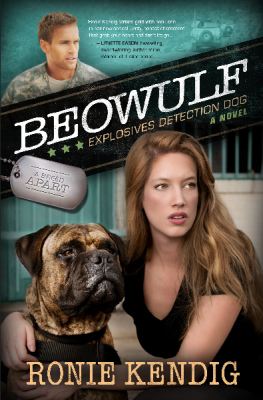 2013 IRCA WINNER – Romantic Suspense! 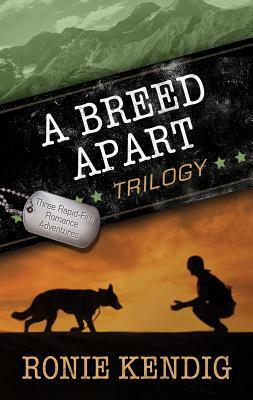 “Ronie Kendig strikes gold with book one in her new series! Gritty, honest characters that grab your heart and don’t let go. Heath, Jia and Trinity make an exceptional team. The suspense rocks, the romance sizzles and the danger escalates at a rapid pace. Ronie’s accurate and in the headlines portrayal make will make you get on your knees and thank God for people who are willing to put their lives on the line to fight terrorism. This is a book you won’t want to put down until you finish it–and even then the characters will stay with you long after THE END. 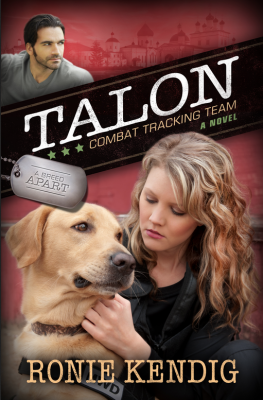 I’m eagerly awaiting the next installment of the Military War Dogs series.” – Lynette Eason – bestselling, award-winning author of the Women of Justice series.